“I love the use of metaphors and real stories. It helps me to connect with others cultures and different views”. To go about an undertaking in the proper way. This metaphor was chosen as the foundation for this programme as it portrays the significance of the coconut tree, and how each part of the tree continues to perform a significant role throughout its life. The use of the ‘niu’ metaphor is a universal icon for Pasifika peoples, referring to the coconut tree and the coconut itself. Niu means coconut. It is often referred to as ‘the tree of life’ due to its ability to produce water, nourishing food, and materials used for everyday life. The coconut tree has sustained many communities when all other crops have failed. ‘Ia su’i tonu le mata o le niu’ means to go about an undertaking in the proper way. The proverb describes the notion of leadership — leading in the right way. 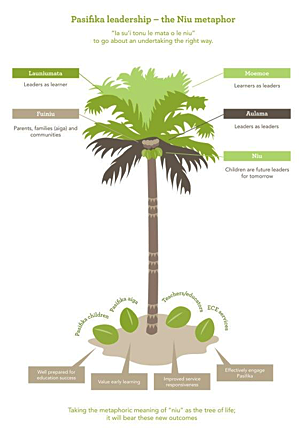 The diagram above connects understandings of the multiple layers and uses of the niu leaves with the multiple leadership roles and positions in an ECE community. The Pasifika leadership programme is concerned with ‘feeding and nourishing the leaves’ in order for the tree to bear fruit. There are 3 layers of leaves; these depict the layers of the roles of managers, head teachers, and emerging leaders within the early childhood context. 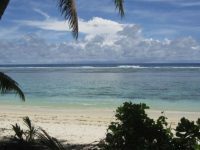 Another layer is the family, fanau, and wider community including agencies such as ERO, Ministry of Education, and the Ministry of Pacific Island Affairs. The children are the fruits of the tree that are nurtured, nourished, and protected by the other components of the tree. 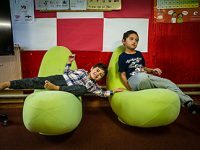 Our role as leaders in early childhood is to undertake our relevant roles and to ensure that the fruits are supported to grow and develop, and to reach their best possible outcomes. The Pasifika Education Plan 2013–2017 vision aims to have 5 out of 5 Pasifika learners succeeding in education. When leaders in our early childhood communities have an understanding of how this metaphor relates to Pasifika ways of knowing, being, and doing, and can ensure these concepts and values are embedded into their practices, we can be assured that Pasifika children will certainly reach their full potential. The Ava Ceremony — A way to understand the metaphor. 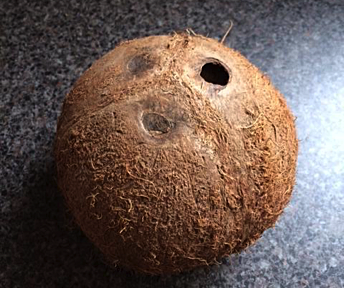 The Reverend Elder Fitifiti Luatua opened the morning session by discussing and demonstrating the correct way to pierce open the right eye of the coconut in order that the sweet fluid would flow out easily. 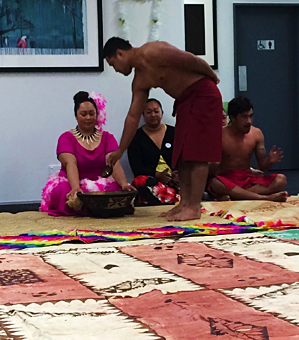 A formal Ava ceremony to welcome participants into the Pasifika community followed, and I began to recognise how the formalities of this traditional process depicted the model of leadership that this metaphor represents. There is a protocol for how each phase of this ceremony is undertaken. Each person involved in this traditional practice has a specific role to perform. Those who have the right to perform blessings and prayers in ritualistic ways know when and how to perform them. The matai and elders conduct formal speeches and guide the discussions, and the decision-making processes. The custom of consultation is demonstrated as the designated speakers take turns to address and respond to each other. Their speeches were in the Samoan language, so I was not able to interpret exactly what was said yet the additional communication skills of using body language, facial expressions and variations in voice tone and intonation clearly displayed how this consultation process was taking place. A crucial point for leaders to consider was this message shared in English, “A lack of communication causes separation”. There was a clear order of proceedings throughout the ceremony, and again those people involved were knowledgeable about when and how these would take place. The rituals performed by the Taupou and the young male during the preparation and serving of the ava signified once more how there is a correct and systematic way to conduct this phase. As the ceremony closed, the traditional dance and the additional rituals corroborated the practices of performing actions in the correct order. In recognising this metaphor and its inherent cultural values and practices as a leadership model, I can see the significance of leadership teams in early childhood services ensuring that they identify specific roles, tasks, procedures, process, and practices to ensure successful outcomes for their children. For leaders planning on, or already engaging with, Pasifika aiga and communities, it is imperative that they identify cultural values and implement them into their practices and procedures across all aspects of their service. My reflections about the significance of using metaphors to understand leadership concepts was further supported as the group were invited to consider their own descriptive metaphors about leadership. E le sua le lolo I se popo e tasi. 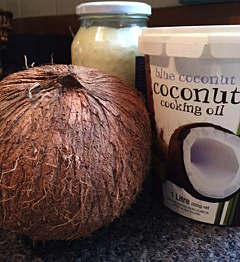 To make the coconut oil you need to use more than one coconut and add many fragrances to make it smell beautiful. The production of coconut oil undertakes a distinctive process, whereby there needs to be several coconuts used to gather plenty of coconut cream that is then mixed into the various fragrant flowers. This blend is placed in the sun for a few days for the oil to form and it exudes as a beautifully scented and multi-purpose product. As a leadership model this metaphor relates to the importance of having more than just one person making decisions. 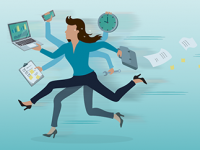 There is a requirement to have discussions and input of ideas from several others with differing attributes, thoughts, skills and abilities, to share the load in order to achieve the most successful and beneficial outcomes. These examples have definitely strengthened my understandings of how the use of metaphors supports concepts, beliefs, and practices from one culture to be shared, discussed, and interpreted by others from both within and outside that culture. There are, of course, many more metaphors that can be used to describe and gain deeper understanding of Pasifika leadership views. 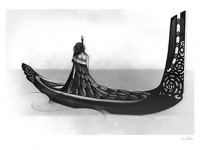 I invite you to follow the link below to see some more metaphors and insightful reflections into a journey by two participants from the previous Pasifika Leadership Programme. Tamasese, Tui Atua Tupua. (2002). More on meaning, nuance and metaphor. Unpublished paper, (Keynote Speech, Pacific Fono, Moving Ahead Together, Pataka Museum,) Capital Coast District Health Board, Porirua.